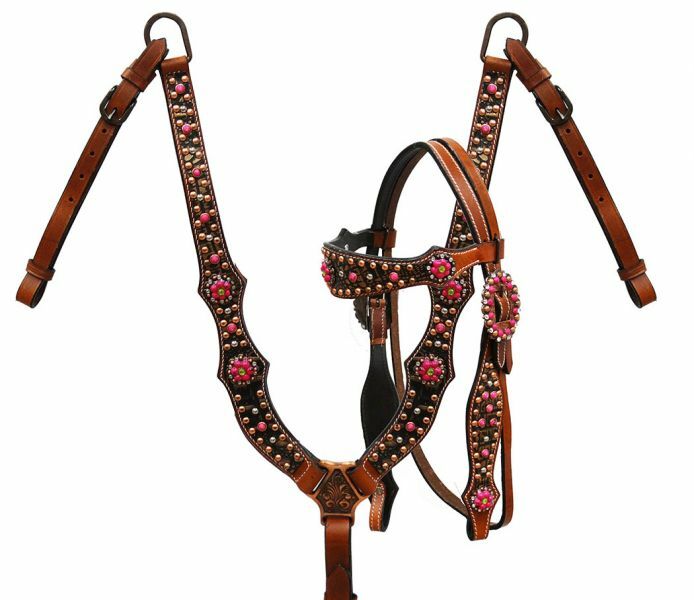 #12800 Filigree Print Headstall and Breast Collar Set. 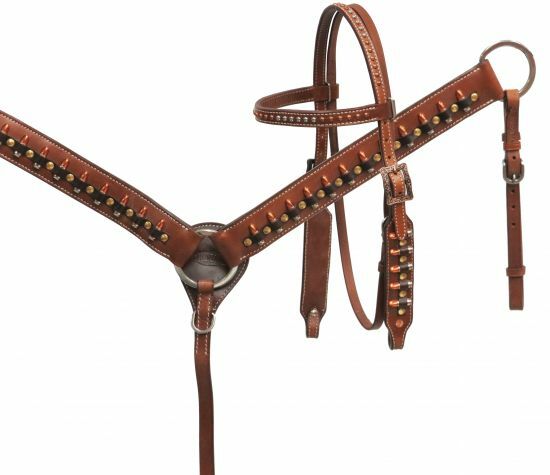 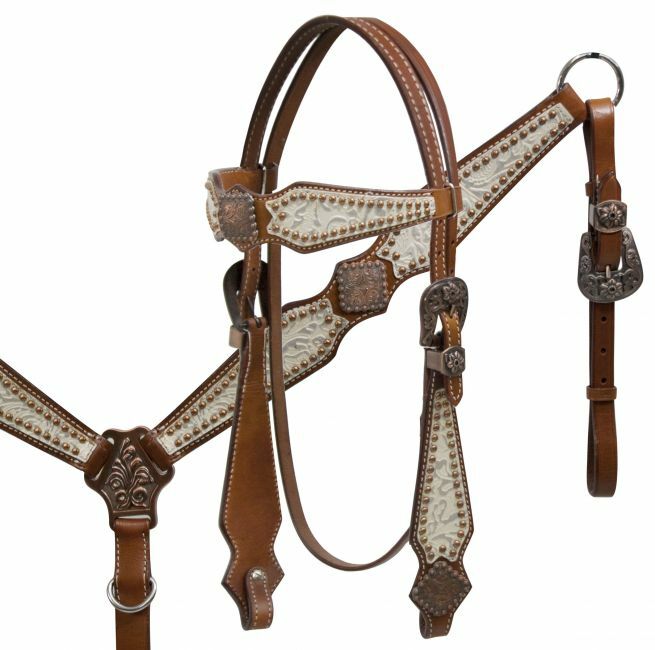 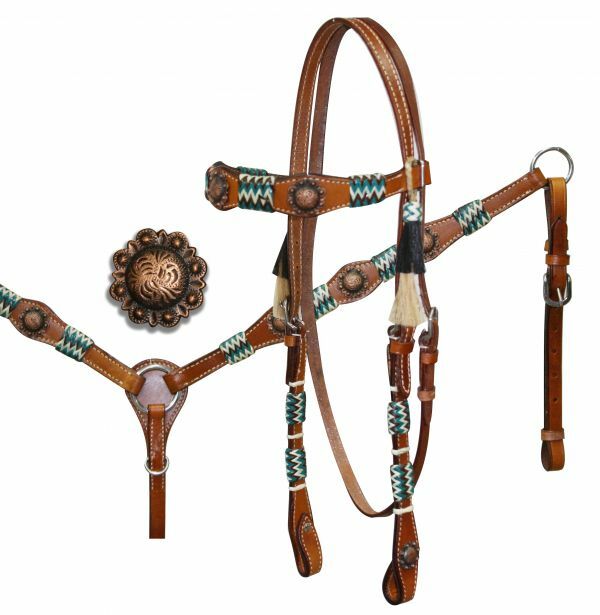 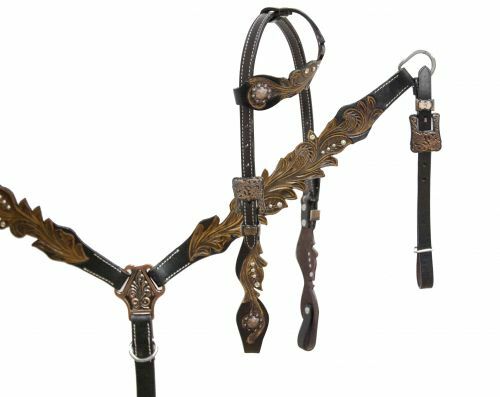 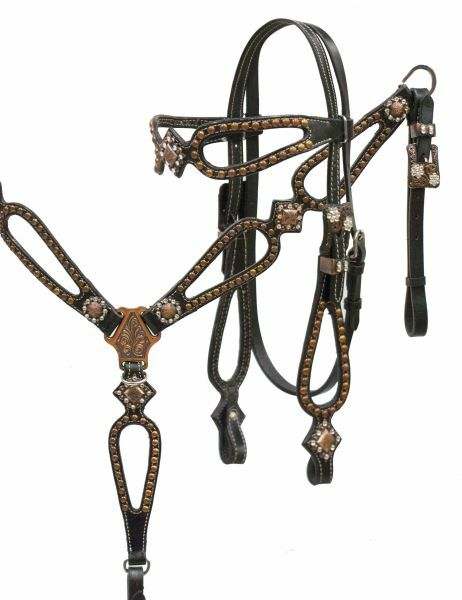 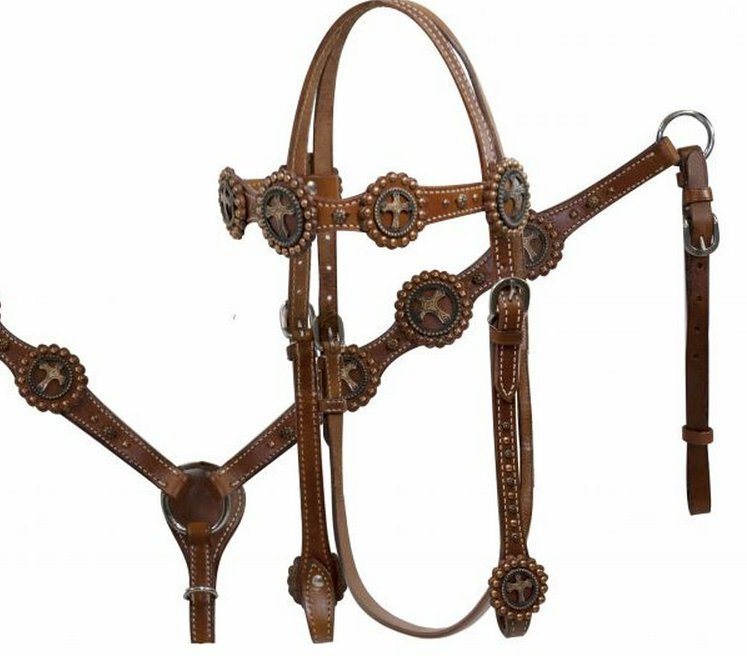 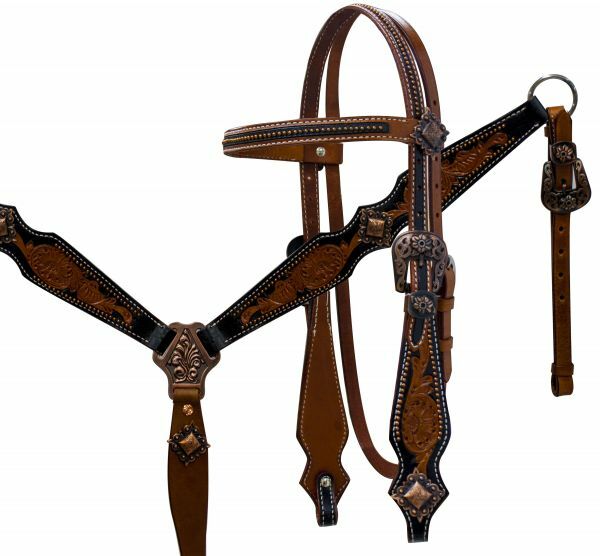 #12753 Rawhide Braided Headstall and Breastcollar Set with Antique Style Conchos. 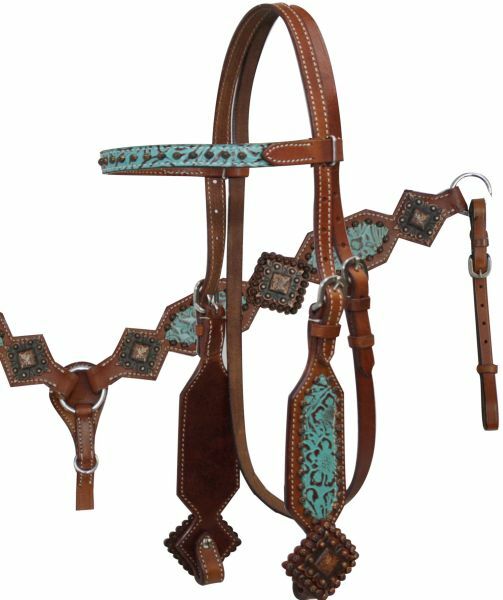 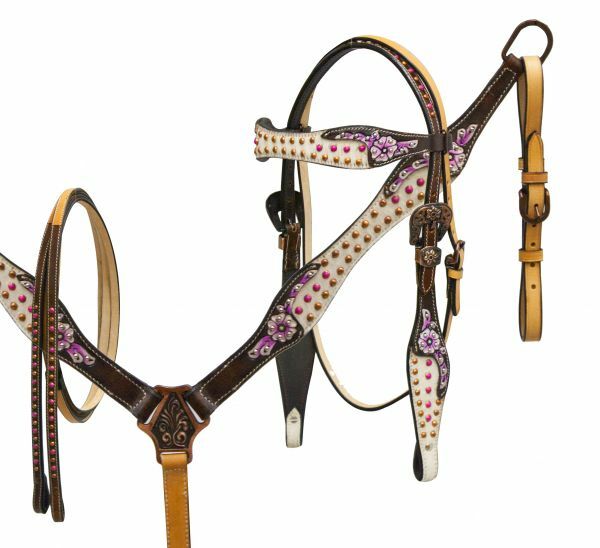 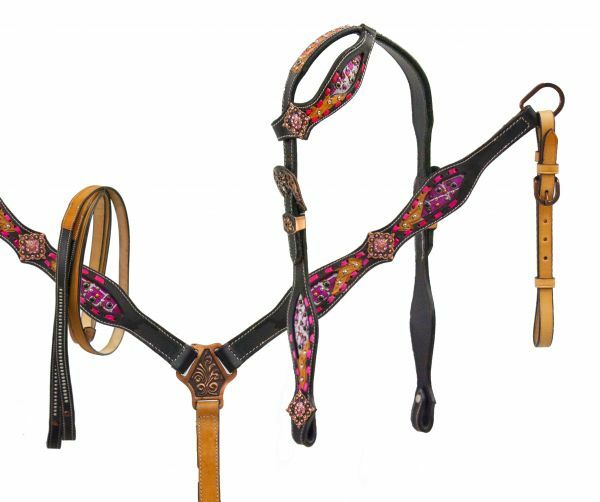 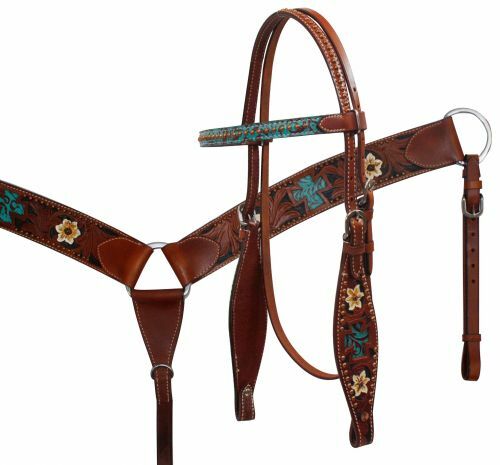 #13458 Headstall and Breast Collar Set with Teal Filigree Cross Inlay and Painted Flowers.